The quest for income remains at the top of the agenda for many investors. While UK interest rates have started to go up, they are still low relative to history and so cash savings accounts are unlikely to offer any decent levels of interest. For example, the best paying instant access cash savings rate is currently 1.5% from Goldman Sach’s new Marcus service and Kent Reliance. Fixed-rated accounts are more attractive as you are being rewarded with extra interest for locking away your money. Atom Bank has the best rate for a three-year fixed term at 2.4% and Investec is top for two years at 2.35%. Only one of those rates would offset the impact of inflation, currently running at 2.4%. The others wouldn’t provide enough to fully offset the real value of your money being eaten away. That is why savers are turning to the stock market to obtain better returns. HOW MUCH COULD YOU GET FROM THE MARKETS? You could get in the region of 4.5% income from buying a tracker fund linked to the performance of the FTSE 100. For example, a £50,000 investment in iShares Core FTSE 100 ETF (ISF) could generate £2,250 a year in dividends based on the 4.5% yield. 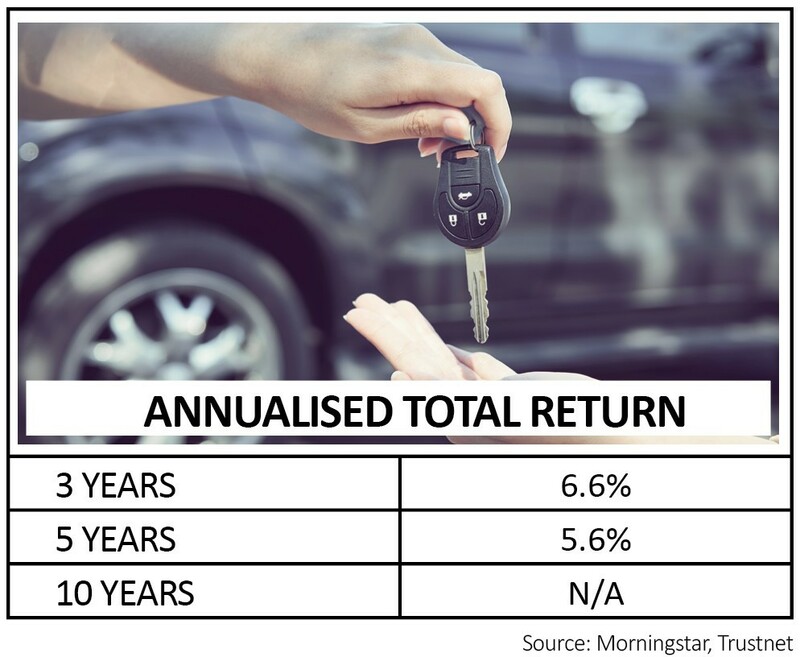 That is certainly more attractive than the returns you could expect from cash, although the risks are much higher because the value of your money can do down as well as up in the stock market. But wouldn’t it be nice if you could get an even greater level of income? We can still fondly remember the days of getting 5% or 6% on a cash ISA (a decade ago). Fortunately you don’t need a time machine to find that level of return today. 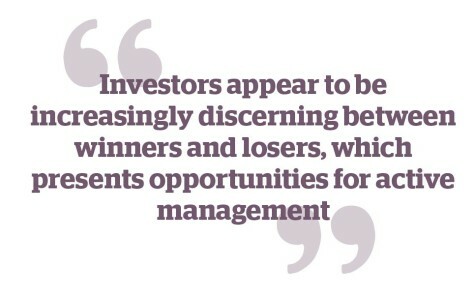 You can get 5% or more quite easily at the moment if you look at funds and investment trusts. We pick six funds to buy later in the article. ‘If you want high yield you cannot get it without taking capital risk,’ warns Ryan Hughes, head of active portfolios at AJ Bell. This is very important – the higher the yield, typically the higher risk you have to take on. Our research has found more than 200 products which offer such generous yields, although the information is based on what they paid in the last reported year rather than forecasts. You should never assume funds will always repeat or increase the level of dividends each year as it all depends on their underlying portfolio which can change on a regular basis. However, an active fund manager is paid to find the best opportunities so you can take some guidance from historical yields as to what a fund may offer in the future. Income boosters are also known as income maximiser or enhanced income funds. Examples include Schroder Income Maximiser (B53FRD8) which yields 7% and Insight Equity Income Booster (B8SFP07) which yields 8%. They sell options on some of their holdings which dilutes the potential for capital growth. This process can be hard to understand and so investors may wish to look elsewhere if they can’t get their head round the process. The fund sells an option which gives the buyer the right, but not the obligation, to buy a stock from the fund at a pre-determined ‘strike’ price on a specified date. The fee the fund receives for selling the option is distributed to investors as dividends, topping up income from the underlying portfolio. If the stock doesn’t go up enough to hit the strike price before the contract expires the fund keeps the premium. If it does hit the strike price the fund still keeps the premium but it has to pay away any additional increase in the stock’s value over and above the strike price. The strong US dollar in 2018 has weighed on emerging markets as many companies have dollar-denominated debt. Currency crises in Argentina and Turkey have also weighed on general investor sentiment towards this part of the investment market. However, many fund managers argue that issues affecting some parts of emerging markets won’t necessarily affect other parts, and that you shouldn’t view it as a single entity. ‘Emerging markets in aggregate have shifted to current account surpluses, floating exchange rates and a reduced reliance on US dollar debt funding. However, those emerging economies (and companies) pursuing less prudent policies have been punished heavily by financial markets,’ says Chetan Sehgal, lead portfolio manager at Templeton Emerging Markets Investment Trust (TEM). 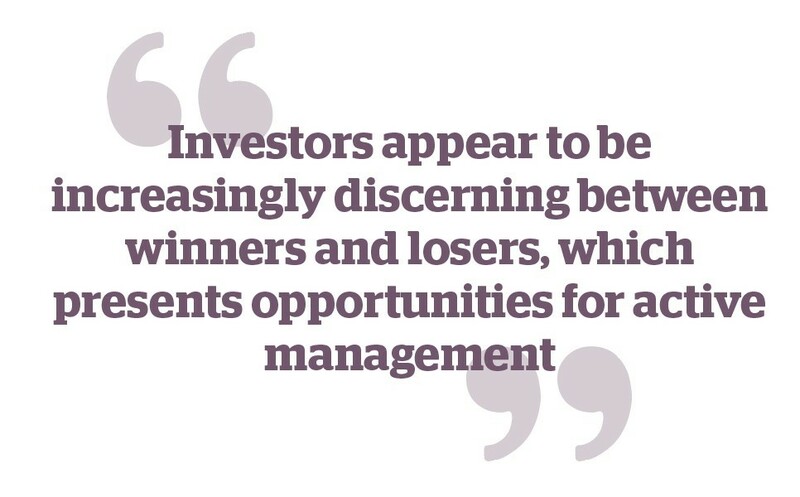 ‘Investors appear to be increasingly discerning between winners and losers, which presents opportunities for active management,’ adds Sehgal. One example is M&G Emerging Markets Bond (B4TL2D8) which yields 6.2%. ‘In our opinion, the fund manager is well-experienced in this specialist fixed income asset class and the fund further benefits from the support of a strong fixed income unit at M&G,’ says the investment team at AJ Bell who include the product on their favourite funds list. ‘The flexibility of the investment approach allows the manager to invest with conviction and this adds further appeal to the fund.’ The fund invests in emerging government debt in US dollars and local currency, and corporate debt in US dollars. These types of funds will invest in bonds with a lower credit rating than investment-grade corporate and government bonds. You get a higher yield in exchange for investing in higher-risk assets. Examples include Invesco High Yield Fund (BJ04GF1) which yields 6.1%. It focus on companies with predictable earnings and recurring cash flow, plus it invests in bonds where returns are more tied to company performance. ‘For example, this might be a company that has undergone a restructuring that we now think can become more cash generative,’ says the asset manager. A dividend yield above 5% is often the result of a company’s share price being depressed, perhaps through trading or financial difficulties, or simply external issues out of its control. 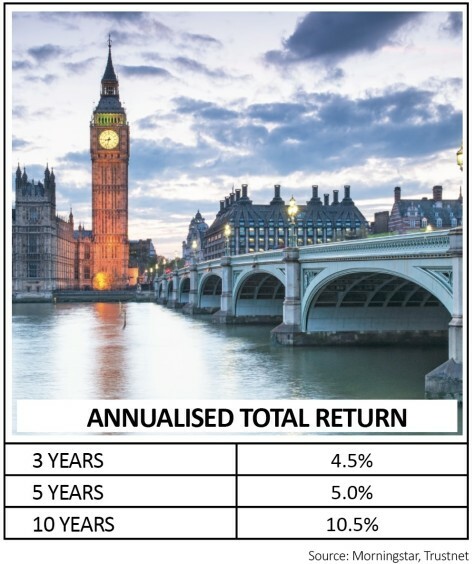 Therefore anyone investing in equity income funds offering yield above this level must look at the portfolio and see why it is offering an above-market return (based on the FTSE 100 yielding 4.5%). 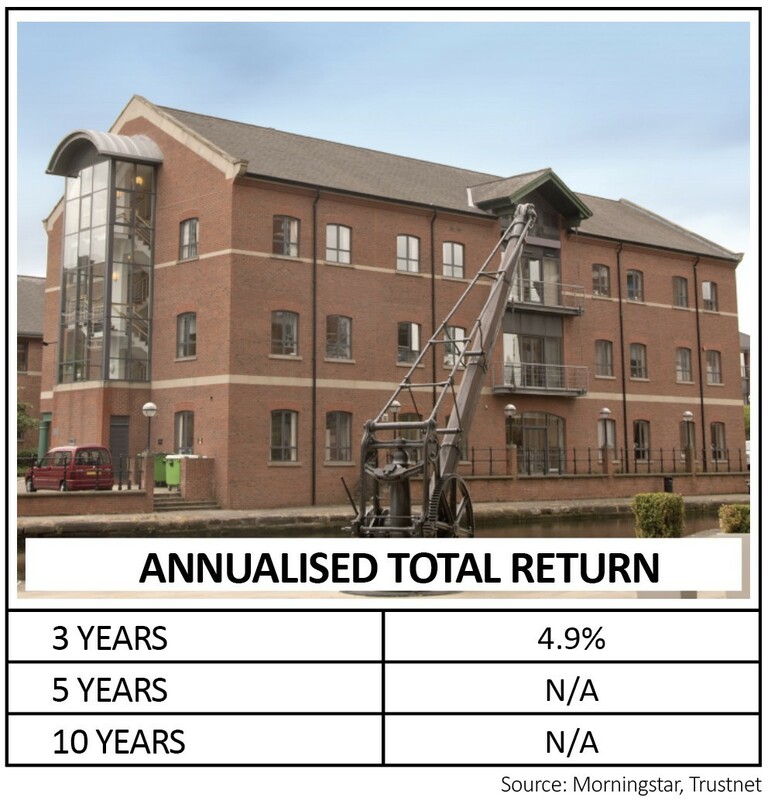 Schroder UK Alpha Income (B073JS2) is a good example, offering a historic yield of 5.3%. Its portfolio contains oil stocks which have been hit by the recent decline in the oil price; tobacco stocks which have suffered from increased regulatory pressure on the sector; banks which have been facing a price-war in the mortgage market and being more cautious on lending; and telecoms where competition has also been tough. Buying such a fund would require you to take a view on these sectors in the hope that they have recovery potential, or faith that the fund manager finds better places to invest. Some of the other funds on the list of 5%+ yielders include ones with niche interests such as aircraft leasing or debt vehicles which may not be to everyone’s liking. ‘A lot of funds yielding above 5% are products which have been untested in a market downturn, such as peer-to-peer lending. There are subsequently questions about liquidity in a downturn and the level of discounts to net asset value you may see with some of the more niche investment trusts,’ says Hughes at AJ Bell. Hughes says investors should consider higher-yielding funds as satellite investments which sit around a core portfolio. They will help to diversify your income stream away from traditional assets but shouldn’t be the largest part of your overall investments. Janus Henderson Far East Income looks highly attractive for income seekers wishing to diversify dividend sources away from uncertain UK-listed shores, while simultaneously supplementing portfolios with a fund with a strong 10-year net asset value growth record. Managed by Mike Kerley, the investment trust seeks to provide a growing annual dividend and capital growth from a diversified portfolio of investments from the Asia Pacific region. Improving corporate governance and fast-growing earnings are helping to drive dividend growth in Asia Pacific, where companies have low levels of debt, and countries boast growing middle class populations and swathes of innovative companies. 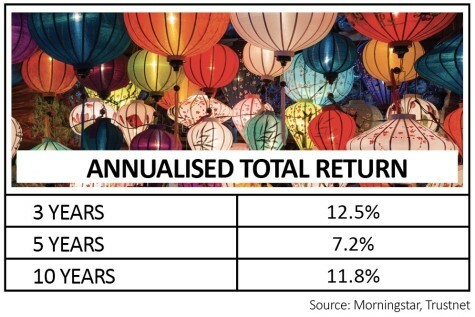 Dividends from Asia Pacific companies rose by 12.7% in the year to May 2018 and have tripled since 2009 substantially ahead of the rest of the world, says Janus Henderson. Kerley focuses on well-managed companies with attractive valuations which have the potential to sustain and grow their dividends in the years ahead. This process supported another total dividend increase ahead of UK inflation for the year to 31 August 2018 where the payout grew from 20.8p to 21.6p. The fund’s capital performance fell short of the previous year as Asian share prices were hurt by worries over President Trump’s trade war with China and the strengthening of the US dollar. Top 10 positions include Industrial & Commercial Bank of China, Taiwan Semiconductor Manufacturing, Taiwan’s E.Sun Financial, Australian properties play Scentre and China Mobile. 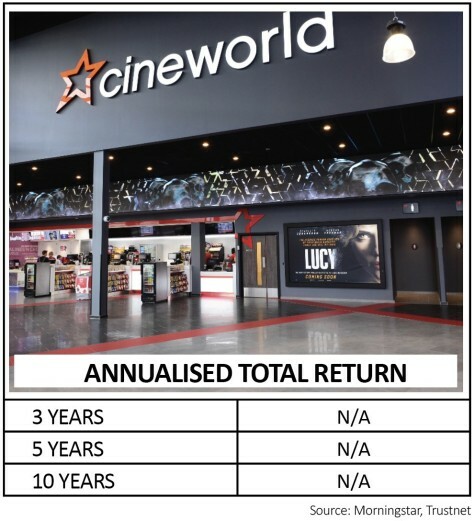 From its launch in March 2013 this investment trust has delivered returns at the upper end of the guidance which was given at the outset. Twentyfour is a fixed-income specialist and is highly regarded among investors. Stockbroker Numis says the investment trust has delivered net asset value total returns of 62% since inception five years ago. The team behind the fund invest in a mix of European and UK asset-backed securities. This includes collateralised debt obligations, residential and mortgage-backed securities as well as car loans and credit cards. These assets would typically be too illiquid to be held within an open-ended fund like a unit trust or Oeic. 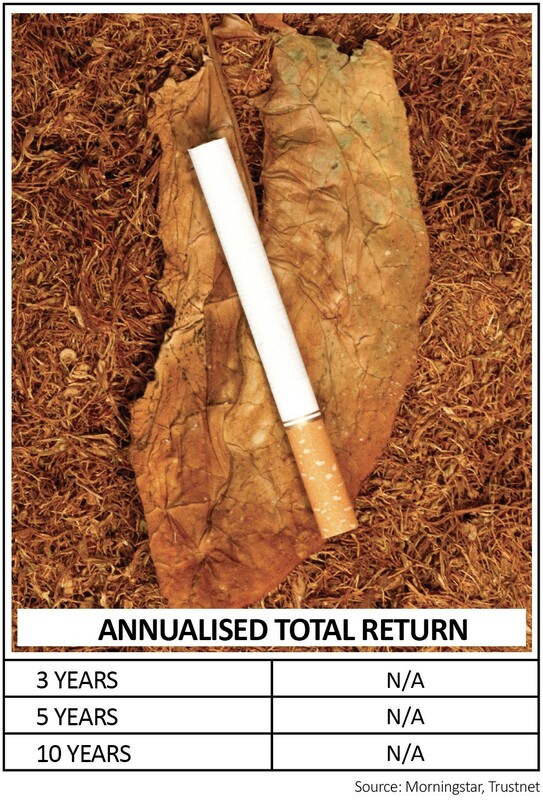 It targets a yield of 6% (and a total return of 6% to 9% a year) and pays dividends quarterly. The product focuses on floating rate bonds. The rate attached to the bonds will vary and can rise in line with interest rates. They typically perform better than traditional bonds when central bank rates are rising. The investment trust recently offered shares to institutions at a premium as it looked to raise cash to invest in opportunities created by distressed bond markets. The last time shares were issued was in February 2017. Investors are offered an exit opportunity through a continuation vote held every three years with the next one scheduled for September 2019. 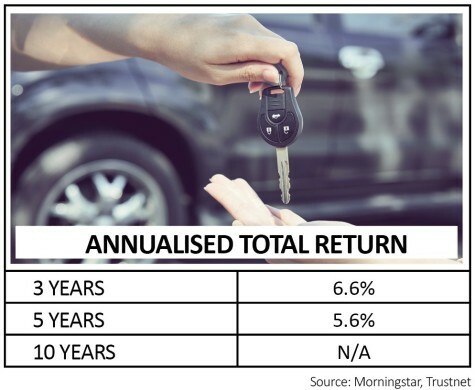 Offering the option of quarterly or monthly income, this fund is tilted towards bonds although it also invests in some equities in order to provide some extra growth potential. Launched in March 2008, the typical split is around 80% fixed income and 20% equities. The team makes use of their own research rather than relying on credit ratings agencies. They look at free cash flow and a company’s ability to service its debt and, if necessary, refinance, while with equities the same focus is applied to the capacity to sustain and grow the dividend. By investing in both equities and fixed income the fund can decide if a company’s shares or bonds are likely to deliver the best returns. Lead manager Alex Ralph is a bond specialist. She has the flexibility to invest anywhere in the world and across a range of different fixed income assets from government bonds to more esoteric areas of the market as she looks to deliver a higher level of income than an average, run-of-the-mill bond fund. Part of Ralph’s approach is to look for bonds which have been mispriced thanks to minimal coverage from stockbrokers or limited liquidity. The aim is to tap into the resulting attractive yields. Fund manager Neil Woodford may not be in everyone’s good books at present due to a patchy performance in recent years. However, one must not forget that he gained a reputation as a star fund manager through having an excellent investment process that has delivered strong returns in the past. His Income Focus fund, launched in March 2017, is aimed at individuals with a minimum three to five-year time horizon. The team can invest in companies around the world although the portfolio is currently 97% invested in UK-quoted stocks. Top holdings include big exposure to tobacco and housebuilding, so you need to have faith in those sectors in order to hold the fund. Launched in March 2014, this property fund tends to focus on smaller commercial properties in the regions rather than big office blocks in central London. The aim is to achieve a distribution income of 5.5% a year. Its recent £39.9m acquisition of nine multi-let trading estates and three individual warehouses across locations which include Aberdeen, Birmingham, Brighton, Bristol and Norwich reflects this regional bias, though the purchase was above the top end of the typical £3m to £20m asset size managers Richard Peacock and David Wise focus on. According to the fund its average lot size of £7m compares with a peer group average of £25m, and it says analysis of historic property data shows smaller assets generate higher income returns than larger assets. They are also potentially easier to sell. Liquidity is an important consideration when looking at property-themed income funds, after trading in many of them was suspended following the Brexit referendum vote in 2016. Kames was one of only two in the peer group which remained open to trade through this volatile period. Though exposure to certain types of retail property assets like shopping centres and department stores is avoided, the company prefers to consider the individual merits of an asset rather than being led by exposure to specific sectors. 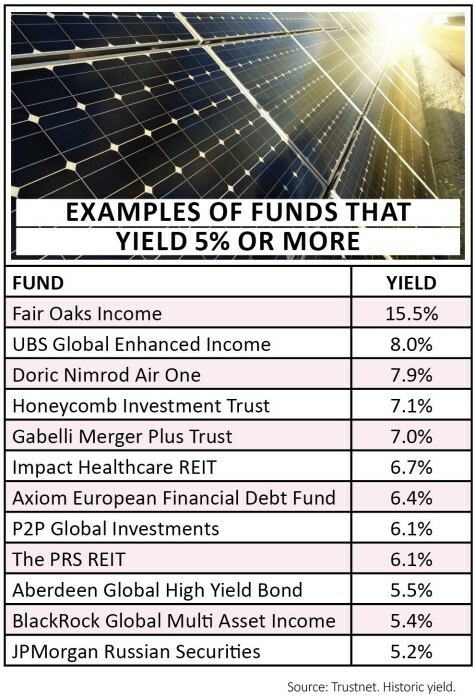 Co-managed by Fraser Mackersie and Simon Moon, Unicorn UK Ethical Income Fund is all about achieving a historic yield in excess of 110% of the FTSE All-Share yield, over a three-year period, through investments in UK companies which meet Unicorn Asset Management’s ethical guidelines. Mackersie and Moon scour the market for dividend-paying companies with potential to grow and the strategy is run as a diversified portfolio of up to 50 investments with a small to mid-cap bias and adherence to Unicorn’s investment style, which can be categorised as ‘defensive growth’. Selection of such ethical equities for the fund is undertaken on the basis of thorough company analysis, with ethical and socially responsible criteria reviewed at the point of investment and quarterly thereafter. 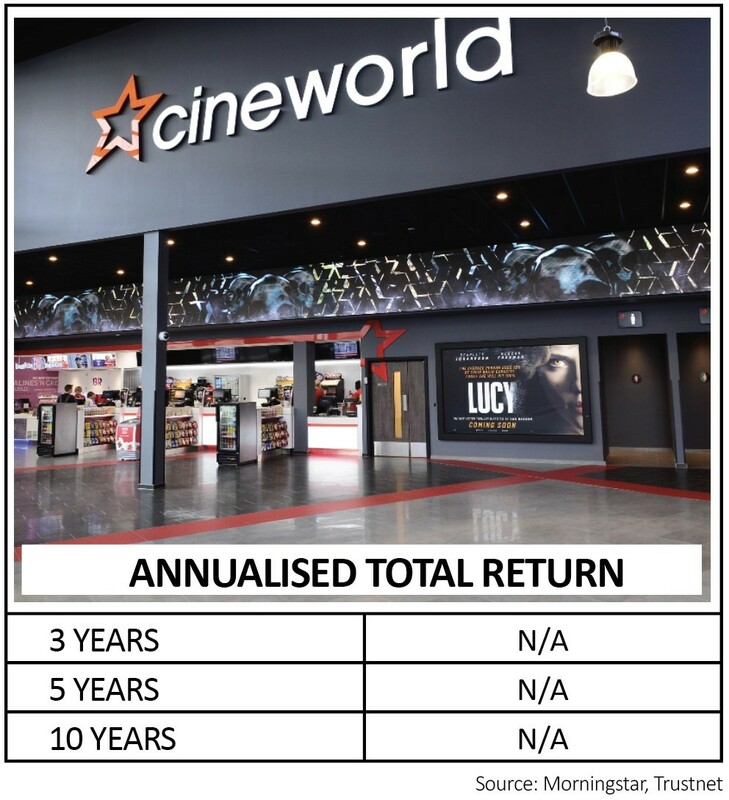 Portfolio holdings include cinema operator Cineworld (CINE), promotional products play 4imprint (FOUR), paving expert Marshalls (MSLH), food producer Dairy Crest (DCG) and the independent energy supplier Telecom Plus (TEP).